Azealia had some harsh words to say. 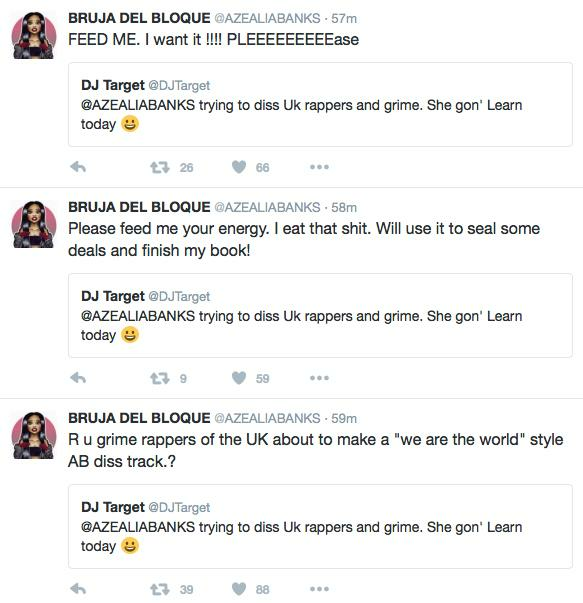 Azealia Banks appears to have been suspended from Twitter and people are celebrating. 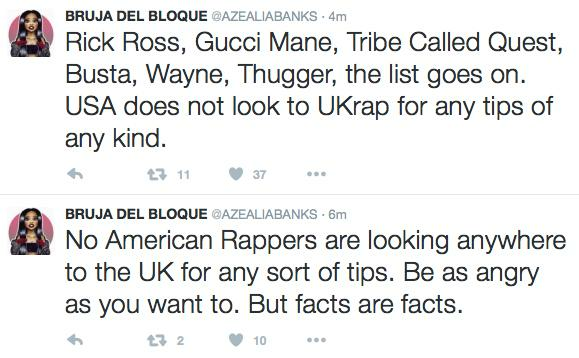 Azealia Banks has labelled Grime and UK Rap a “disgrace” in a new Twitter rant. The controversial rapper, who is known for her colourful outbursts on social media, has sent shots at music from the likes of Skepta, Stormzy and more. “The UK really can’t rap though. UK rap is just a disgrace to rap culture in general,” she began. The ‘212’ rapper then continued to rip into UK culture, adding: “Rap/Hip-Hop culture is American in its purest form. Banks then appeared to encourage artists from the UK to respond. “Feed Me. I want it. Please!” she said. 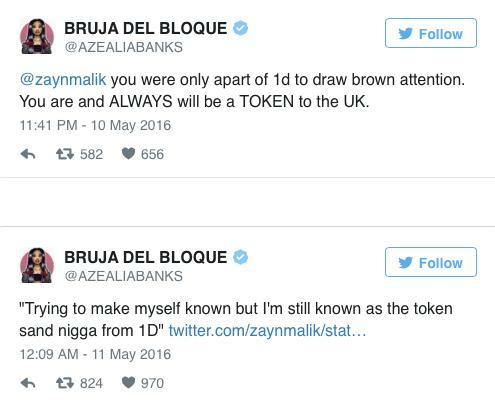 She also aimed a number of racial slurs at former One Direction singer Zayn Malik, following her claims that he plagiarised her in his latest music video. Azealia Banks, who previously claimed to be deleting her social media accounts, has also fired shots at Kanye West , Beyonce and Iggy Azalea in recent rants. The UK scene has responded. Check out some of the best comebacks here.